Ladies and gentlemen, boys and girls, lend me your hats! I am about to share with you the best Pyro melee weapon in existence! Nope. It is none other than the Homewrecker. And that’s why it’s a perfect side grade. Basic analysis defines this as a supportive weapon, not intended for normal melee use. Deals double damage to buildings, removes sappers, but is less effective against other players. The big ticket here is that second attribute. Suddenly this weapon opens up a whole new playstyle, the Pybro. Although the concept did exist before, this weapon moved the Pyro’s classification from “Offense” to “Swiss Army Knife” in my book. Obviously the pros here are for the defending team and their engineers. No longer does the Pyro just hunt spies through the base, they now swarm the Engineer’s nest, making it nigh impossible for anything short of an Uber to get through. As a result, every single Spy player hates this weapon. As fellow SPUFer Rynjin told me once, “The Homewrecker is a dumb idea that punishes Spies for doing their job correctly, and rewards Pyros for NOT doing their job in the first place.” Which is a fair criticism. 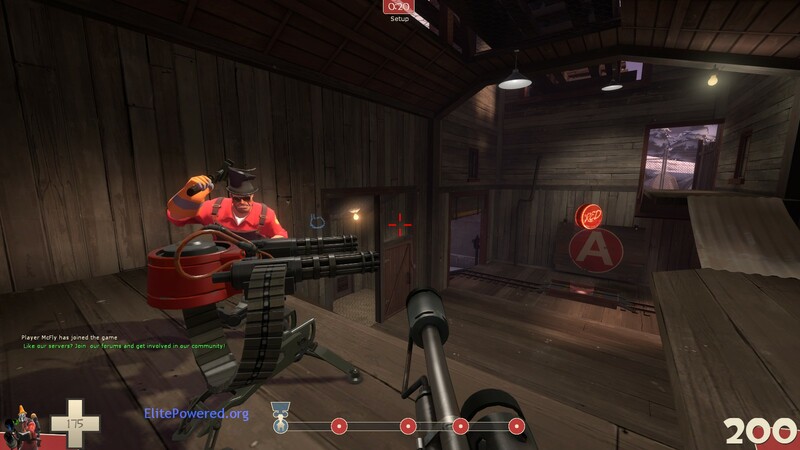 It does certainly push the advantage towards the Engineer and Pyro’s side in most engagements. The logic is, that the Spy can no longer stab the Engineer and sap the sentry, and that’s that. Now he must either kill the Pyro first, or kill the Pyro immediately after sapping, both of which are incredibly difficult. But is that a bad thing from a balance standpoint? I do not think so. One of the great things about TF2’s best unlocks is the depth they add to the gameplay. The Kritzkrieg, Gunslinger (more on that later), Sandvich, Huntsman, and Dead Ringer have one major thing in common: new play styles. However annoying/cheap some of these are reported to be, the game would be incredibly bland without them. (Not catering to stock purists here, your game died years ago. :P) Just as the Homewrecker made Pyro’s change their strategy, it also has affected the Spies as well. They can no longer rely on the muscle memory of the stab and sap, or simply charge into a base. The forces them to think strategically, or *gasp* with their team. Do not fret Gibus-bearer. Your sentry shall not die easily as long as I am by its side. It is true, to an extent that from a gameplay perspective, the Pyro has a much easier job than the spy. The Spy has to infiltrate the base, deal with the Engineer, sap the sentry, etc. while the Pyro only has to be around, have the Homewrecker equipped, and be able to swap to it. 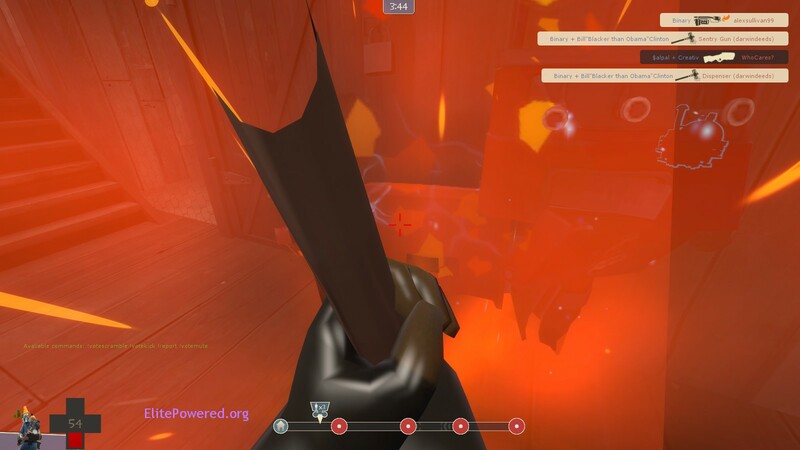 In reality, this is only “easy” if the Pyro is standing directly next to the sentry. The Pyro lacks a audio or HUD notification of the sentry’s status, so they must maintain a watch on the machines themselves. Such as how the Spy has to cautiously proceed into the base (not on the same difficulty, but still requires effort.) They then have to make it to the sentry in time, which based on how far away they were and how soon they noticed the sappers, can be difficult. Even being a few paces away with the flamethrower out put the Pyro at a high risk of not getting there in time. Finally, it’s boring. No one wants to sit next to a sentry all day, so they are bound to wander and spycheck. The second part of my previous statement is a very important part of the Homewrecker’s balance as well. “While the Pyro only has to be around, have the Homewrecker equipped, and be able to swap to it.” This is an example of something I like to call “balance by negation.” Basically, it is the thought that an item has the downside of it not being something else. This is generally any sort of out of the box weapon or mechanic. The best example is Jarate. Although there are no actual downsides listed in it’s description, it suffers because it’s not a SMG. Or a Razorback. These are also called situational weapons. The flamethrower is the opposite of a situational weapon. No matter what, you will always be able to do something with it, reflect rockets, heal teammates, or do damage. Sniper stuck in mid range with someone? “Better pull out my SMG- oh no, Jarate!” and they die. Sniper have someone in close range? “My melee and SMG don’t do enough damage at this range!” and they die as well. Same for Pyros: “Heavy coming around the corner? Better axtinguis- oh no, the Homewrecker!” What’s strong in one area, fails in another. And that’s where most analysis stops. Everyone gets hung up on the sapper attributes, and classifies it as a defensive weapon, grabs their axtinguisher, and moves on. But let me ask you this. What is the most annoying weapon in the game right now? Did you answer “Gunslinger?” I know a lot of people that will. But what if I told you there is a weapon in the game that one shots mini sentries. Guess what, there is. And it’s the topic of this article. The Homewrecker is the single greatest weapon against minisentries barring the Direct Hit. That’s where the real strength in this weapon comes from: it’s versatility. 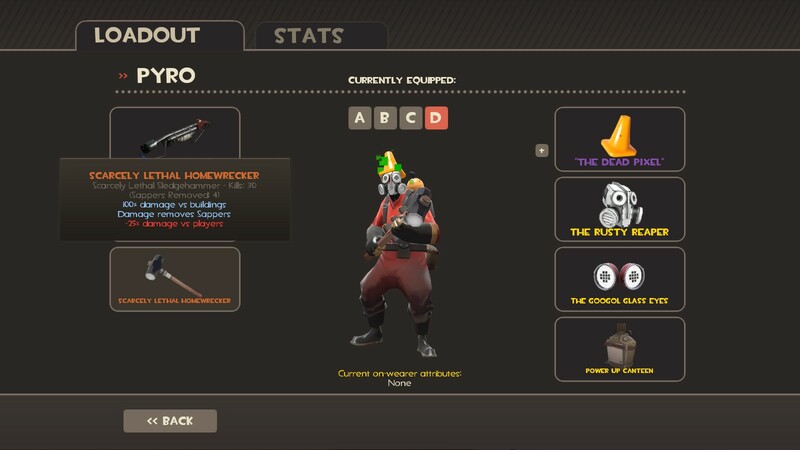 Not only is it good on defense, but it makes the Pyro deadly to EVERYTHING on offense. Before, due to their low health pools, reliance on close range weaponry, and lack of mobility, Pyros needed to steer clear of Engineers, even with a team. Now, all it takes is two hits to down a sentry, easily achieved by circle strafing and positioning. It is this offensive and defensive versatility that, while it may not have the best melee damage, makes it the best weapon to fill the melee slot. +Stops the damage aspect of the sapper, but leaves the sentry deactivated. This still allows the Spy to disable the sentry, even if he dies, allowing for his team to come in and destroy the sentry. The Pyro must defend the nest until the Engineer returns. What if Scout Got a Grenade Launcher? I always saw great potential in this weapon, but I don’t play normal tf2 too often.